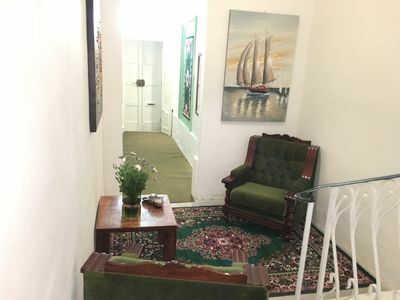 Set in one of the most exclusive areas of Sliema, this apartment is a fantastic option for anyone who wishes to experience the true beauty of the Maltese islands, while still saving some Euros. Albeit being economically friendly, this apartment offers all the facilities one might need for a truly superb holiday experience. 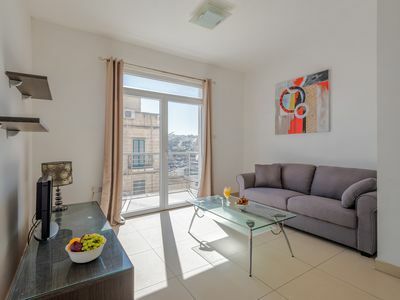 The location of this charming apartment is a major asset – it is located literally around the corner from the renowned Sliema Promenade, being enviably walking distance away from restaurants, bars and also from Malta’s largest shopping centre, Tigne Point. For the more adventurous - a sunny, rocky beach is located just downhill from this Shopping Centre, and thus just a short walk away from the apartment. The apartment itself has a vintage feel to it, with traditional Maltese high ceilings which give it a grandiose aura. The open plan kitchen, dining room and living area make the most out of the space, while also being practical and well-equipped, making it ideal for cooking home-cooked meals. This area leads you to a small back-balcony, ideal for hanging out any washing to dry, or just taking in some fresh air with your morning coffee. The master bedroom is fully air-conditioned, and provides a well-needed resting space after your Maltese adventures. The bathroom comes with a full-size bath-tub, which in itself is equipped with a shower. We provide you with bath towels and linen, so there is no need to carry any extra baggage whatsoever. 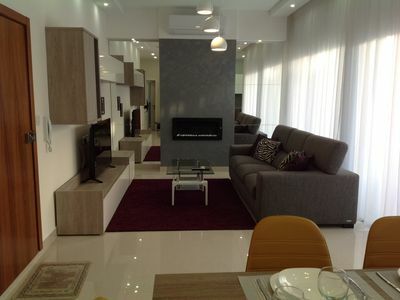 The apartment also comes with a washing machine, and we offer complementary Wifi internet service throughout. The building is also furnished with an elevator, so no need to worry about going up long flights of stairs! Being as central as it is, this apartment is an ideal base for anyone who wishes to still enjoy the many treasures of our islands, while not breaking the bank. Having every amenity you might need at walking distance also lessens commutes for daily chores, and leaves more time for exploring. 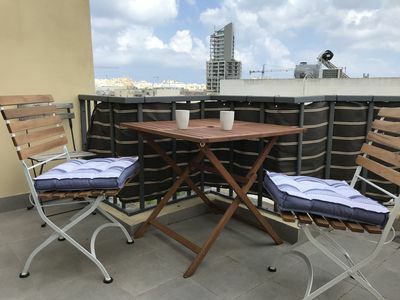 Thus, if you are looking for a budget-friendly property in the very heart of Sliema, Malta’s hub, this apartment is the right choice for you. Please note that the rental price does not include the Environmental Contribution tax, introduced on June 2016 amounting to €0.50c per night up to a maximum of €5 for each continuous stay in the Maltese Islands. This applies for 18-year-old and older.